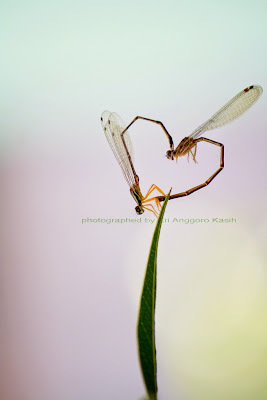 Damselfy (known as Capung Jarum in Bahasa Indonesia) is similar to Dragonfly. But Damselfy is smaller, have slimmer bodies, and most species fold the wings along the body when at rest. 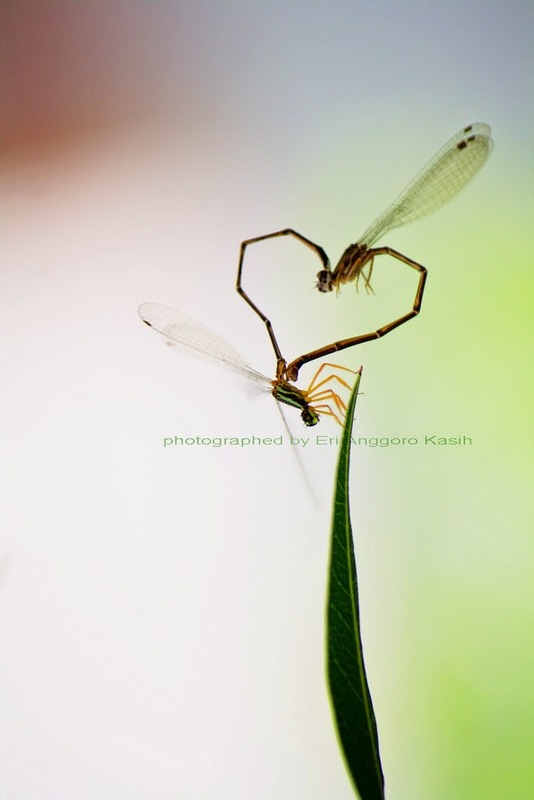 A mating pair form of Damselfies is a shape known as a "heart" or "wheel" or "love". The male clasping the female at the back of the head, the female curling her abdomen down. This beatiful shape of love is an interesting object to capture. Damselfies can be found around your house. Here's another love shape of Damselfies.